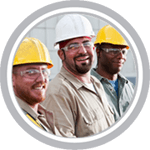 Need OSHA Training in Florida, Miami-Dade County? Best way to get OSHA training in Florida! We offer online OSHA Training in Florida for: Jacksonville, Miami-Dade, Miami, Tampa, Orlando, St. Petersburg, Hialeah, Tallahassee, Fort Lauderdale, Port St. Lucie, Cape Coral, Pembroke Pines, Hollywood, Miramar, Gainesville, Coral Springs, Miami Gardens, Key Biscayne, Palm Beach, Niceville, Parkland, and many more! Required for all construction employees on any Miami-Dade County public or private contract valued in excess of $1,000,000. (ii) a contract or lease valued in excess of $1,000,000 which provides for privately funded construction, demolition, alteration or repair of buildings or improvements located on County-owned land. For other jobs in Florida, some companies require their employees to take OSHA training in order to be qualified to perform certain duties. However, whatever industry you work for in Florida - taking an OSHA Training Course is a low cost investment that rewards you with essential job safety practices that could one day possibly save your life. Most workplace accidents and injuries are preventable, so take a proactive step towards your workplace safety. 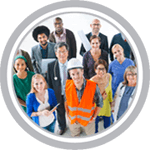 The Florida Department of Health - Occupational Health and Safety Program (OHSP) gathers data about workers in Florida, analyzes the number of work-related injuries and illnesses, and determines the risk factors associated with these events. This information is then shared with partner agencies and other programs, the general public, employers, and employees in an effort to reduce the occurrence of such events and increase the safety of all workers throughout the state of Florida. 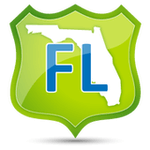 SOII - Workplace Nonfatal Injuries and Illnesses: State data for Florida for years after 2010 is not available. According to latest data, the leading cause of workplace fatalities in Florida was in the transportation and material moving occupations (Source). The main type of these fatalities is the vehicle backover (i.e., when a vehicle backs up and strikes a worker behind the vehicle). The construction and extraction occupations came in a close second in workplace fatalities. Note: State data for Florida for years after 2010 is not available. Florida OSHA training can help you comply with OSHA training standards so you can protect yourself or your employees from workplace injuries and death. Is your organization compliant with OSHA training standards? We can help you comply – and go beyond compliance – for the safety and well-being of your employees. 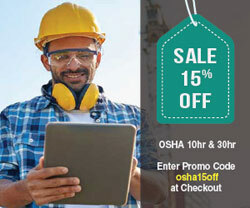 Welcome to OSHA Training - a leading provider of construction and general industry safety training. Is your organization compliant with OSHA standards? We can help you comply for the safety and well-being of your employees. We offer the most convenient OSHA-accepted online OSHA training courses - like OSHA 10-hour and 30-hour in Construction or the General Industry to get you into a job in Florida. Florida OSHA Training Terms: Florida osha training, Florida 10hr training, Florida 30hr training, osha construction, osha accepted provider, lowest price, osha online classes, osha certification courses. Jacksonville, Miami, Miami-Dade, Tampa, Orlando, St. Petersburg, Hialeah, Tallahassee, Fort Lauderdale, Port St. Lucie, Cape Coral, Pembroke Pines, Hollywood, Miramar, Gainesville, Coral Springs, Miami Gardens, Key Biscayne, Palm Beach, Niceville, Parkland, and many more!